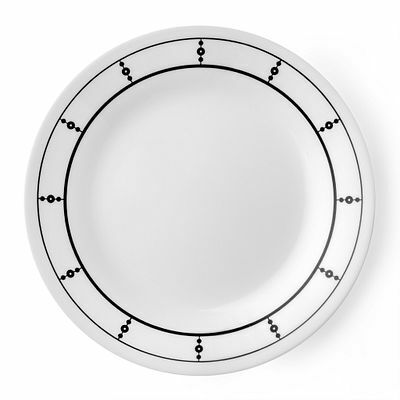 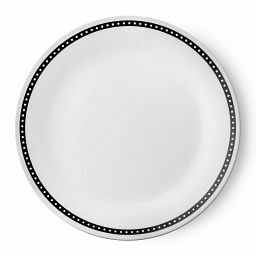 Strands of black dots adorn this appetizer plate in crisp, graphic fashion. 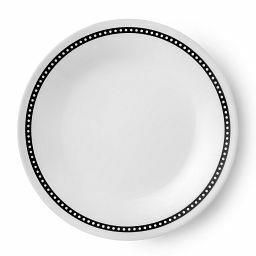 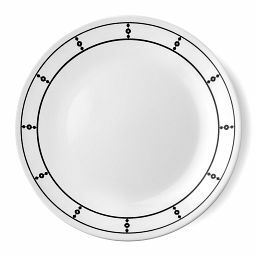 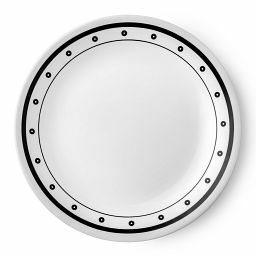 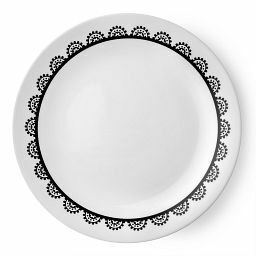 Inspired by a classic string of pearls, linked black dots and borders make this appetizer plate fashionably modern. 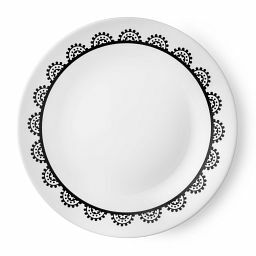 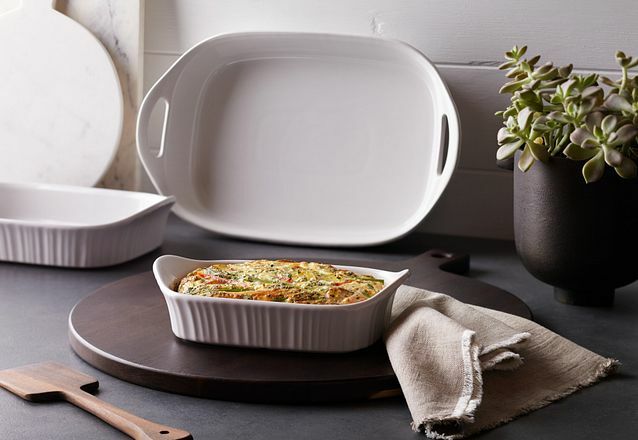 The crisp details are easy to pair with any black or white dinnerware for a fresh, layered look on the table.